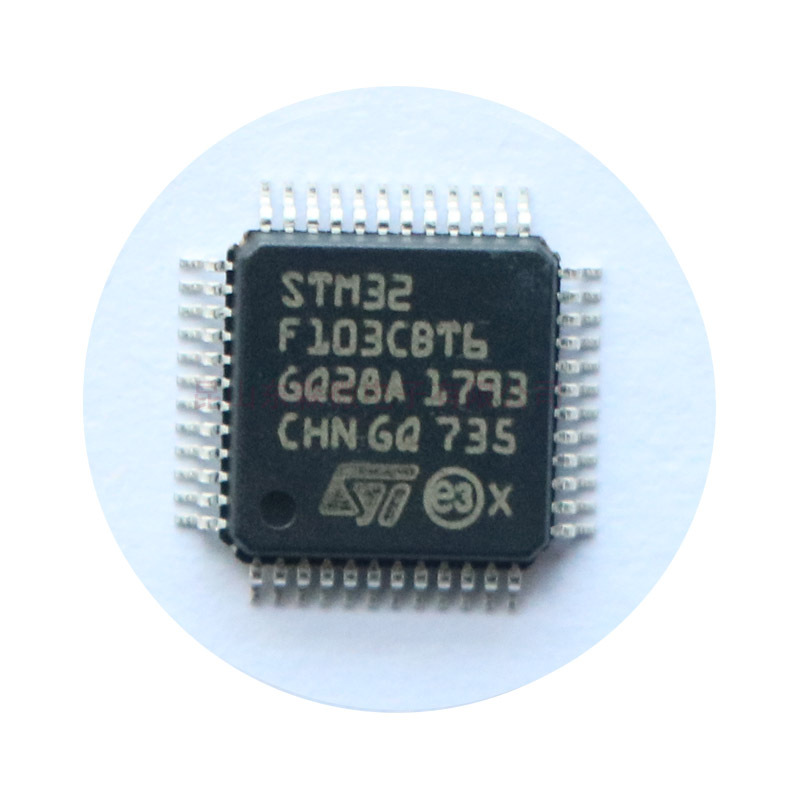 STM32F103CBT6原装进口现货ST代理STM单片机:The STM32F103CBT6 microcontroller has 128KB of Flash, 20KB RAM, 2x10-channel 12-bit A/D converter, 4x16-bit (IC/OC/PWM) timer, 2xSPI, 2x12C, 3USART, USB, CAN, 37 I/Os in a 48-pin 7mm x 7mm x 1.4mm LQFP package. STMicroelectronics provides a comprehensive portfolio of robust 8-bit microcontrollers and high-performance 32-bit ARM-based microcontrollers with a wide range of peripherals. Extensive support through a combination of flexible and powerful development tools, training courses, consultancy and web support facilitate faster time to market. The STM32 family of 32-bit Flash Microcontrollers is based on the breakthrough ARM Cortex™-M3 core. The STM32 family benefits from the Cortex-M3 architectural enhancements including the Thumb-2 instruction set to deliver improved performance with better code density, significantly faster response to interrupts, all combined with industry leading power consumption. The STM32 family is built to offer new degrees of freedom to MCU users. It offers a complete 32-bit product range that combines high-performance, real-time, low-power and low-voltage operation, while maintaining full integration and ease of development. Compatibility of pin-assignments, peripherals and software across all STM32 devices is a core technical feature throughout this family of microcontrollers. ARM Cortex™-M3 32-bit RISC core operating at a 72 MHz frequency, high speed embedded memories (Flash memory up to 128 Kbytes and SRAM up to 20 Kbytes), and an extensive range of enhanced I/Os and peripherals connected to two APB buses. All devices offer two 12-bit ADCs, three general purpose 16-bit timers plus one PWM timer, as well as standard and advanced communication interfaces: up to two I2Cs and SPIs, three USARTs, an USB and a CAN.